Richard Fentiman is Reader in Private International Law at the University of Cambridge, where he teaches the postgraduate course on International Commercial Litigation. His book on International Commercial Litigation was published by Oxford University Press in February 2010. He is the author of Foreign Law in English Courts (OUP, 1998), and he gave a course at the Hague Academy of International Law on The Appropriate Forum in International Litigation in 2002. 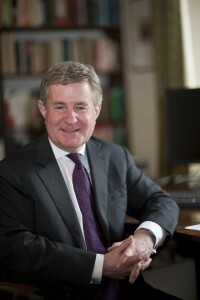 His recent publications include ‘The Significance of Close Connection’ in Ahern and Binchy, The Rome II Regulation on the Law Applicable to Non-Contractual Obligations (Nijhoff, 2009) , and ‘Choice of Law in Europe: Uniformity and Integration’ (2008) 82 Tulane LR 2021. He recently gave evidence to the House of Lords European Union Committee on the reform of the Brussels I Regulation. An increase in litigation in the wake of the economic downturn was widely anticipated, and with it a rise in cross-border disputes with conflicts elements. Yet the expected flood of cases has not materialised, despite a rise in claims in commercial centres such as London. There are reasons why disputes increase in any slump. But the current downturn has special features. These suggest what kind of disputes may arise, including conflicts disputes, and they explain why the number of claims is less than expected. A surge in litigation may yet occur, as initial attempts at compromise fail. But, whatever the number of disputes, private international law may have a central role in regulating the downturn’s legal effects. Such caveats aside, the rise in pending disputes in London gives pause for thought, and begs intriguing questions. Has the downturn generated more disputes? Does this mean more conflicts disputes? What kind of conflicts disputes? How will they be resolved – in court, by arbitration, or by negotiation? And what of the biggest puzzle? Why has the slump not triggered still more claims? A proper response to these questions demands an empirical study, traversing the economics and sociology of litigation. The following brief remarks are no such thing, but attempt at least to capture some impressions, and suggest some possibilities. Creditors become impatient in times of diminished liquidity. They are more likely to seek recovery through litigation rather than forgive a debt or reschedule. There is also an increased risk in a downturn that counterparties will default, or seek to escape performance, as transaction costs rise with the increased price of services and materials, and the scarcity of credit. But default is not always forced on obligors by pressures beyond their control. Some may calculate that deliberate repudiation of their obligations, with the risk of litigation, is preferable to adhering to a newly onerous bargain. With credit and liquidity reduced many litigants may have a heightened sensitivity to the cost of funding litigation, and to the risk of losing in court. But economic adversity may also alter the balance of risk, making the cost of litigation seem more attractive than the cost of performance. It is also more likely in straightened times that parties to a bad bargain will allege mis-selling, or blame their advisers, perhaps suing for misrepresentation, or alleging negligence against a third party such as a broker or auditor. ((A pre-downturn example, subject to English law, but involving the alleged mis-selling of investments in complex financial instruments, is JP Morgan Chase Bank v Springwell Navigation Corporation  EWHC 1186 (Comm).)) It becomes important to establish whether the creditworthiness of a counterparty, or the value of an asset, or the risk of a transaction, was misstated – and to address any related conflicts issues. Nor are lawyers immune from such collateral litigation ((See Haugesund Kommune v Depfa ACS Bank  EWHC 227 (Comm) (advice as to capacity to contract).)) – not least those who gave insufficiently qualified opinions as to governing law and jurisdiction. Allegations of fraud also increase with economic stringency – as indeed does fraud – as trading conditions worsen and liquidity deteriorates. ((Mitchell and Taylor, ‘The Fraud Litigation Spiral’ NLJ 6 February 2010, 175.)) Sellers misrepresent their products, straightened borrowers conceal their circumstances to obtain finance, traders lacking liquidity charge their assets (often receivables) to different lenders to obtain funds. In cross-border disputes this highlights the treatment of pre-contractual fault, and the vexed question of priority between competing assignments of the same debt. Because fraud is often associated with attempts to conceal assets, applications for transnational freezing and disclosure orders also become more frequent. The landscape of litigation in the present downturn has novel features unconnected with the economy, which may affect the incidence and nature of disputes. Two are special to Europe but have particular significance for conflicts lawyers. First, there are now enhanced techniques for reducing the financial risk of litigation, making it more attractive – or less unattractive. The cost of litigation determines whether to initiate or defend proceedings, and (importantly) where to do so. But the financing of litigation has been transformed in recent years by the possibility of third party funding. ((‘Litigation finance follows credit crunch’, Financial Times 27 January 2010; Litigation and Business: Transatlantic Trends (Lloyds, 2008), 9.)) Evidence of the practice in London is scant. But a growing number of third party investors are prepared to finance claims, conditional on a share of the proceeds if the claim succeeds. In theory at least this possibility is especially appealing in a downturn, both to claimants, whose ability to finance proceedings may otherwise be compromised, and by investors, for whom the value of more conventional asset classes may seem uncertain. Secondly, the popularity of arbitration has increased. Claims before the London Court of International Arbitration rose significantly by 131% between 2005 and 2009, a trend matched by other arbitral institutions. ((Financial Times, 16 April 2010, 11, citing figures sourced from the Singapore International Arbitration Centre. In the period 2005-2009 the international disputes administered by the other leading centres increased as follows: ICC, Paris 57%; American Arbitration Association 44%; the Singapore International Arbitration Centre 153%; the China International Economics and Trade Arbitration Commission 31%.)) At least some of those disputes would once almost certainly have been tried in court. One explanation is the perennial concern (not always justified) that commercial litigation is excessively lengthy, complex, and costly by comparison with arbitration. ((Concerns about the efficiency of lengthy cases before the London Commercial Court prompted a review of its procedures culminating in the Admiralty and Commercial Courts Guide 2009.)) Another is the increasing tendency to include arbitration clauses in species of contract which previously would have contained jurisdiction agreements. This is especially so in financial transactions. Financial institutions are less reluctant to arbitrate than convention once dictated. This partly reflects a desire to escape the inflexibility of the Brussels jurisdiction regime, preoccupied as it is with avoiding parallel proceedings even to the detriment of jurisdiction agreements. ((Sandy and O’Shea, ‘Europe, Enforcement and the English’.)) The consequence has been an increase in hybrid clauses providing in the alternative for litigation or arbitration. ((See, for example, the clause at issue in Law Debenture Trust Corporation Plc v Elektrim Finance BV  EWHC 1412 (Ch).)) Given the prevalence of disputes between financial institutions in the downturn, the sensitivity of the transactions involved, and concerns about media scrutiny, parties faced with that choice may well favour arbitration. The effect is not, however, to rule out litigation entirely. Arbitration often generates ancillary judicial proceedings, not least concerning the restraint of foreign proceedings commenced in defiance of an arbitration clause. Thirdly, the downturn coincides with important changes in the European conflicts regime, with the coming into force of both the Rome I and Rome II Regulations. It is perhaps unfortunate that many of the conflicts issues which are likely to arise in the near future are governed by novel provisions, causing uncertainty, and itself generating more litigation. Foremost among these are Article 9 of Rome I (likely to become contentious as obligors plead illegality to escape performance), and Articles 4 and 12 of Rome II (regulating the likely crop of claims for mis-selling and negligent advice). It is especially regrettable that Article 14 of Rome I remains unreconstructed and ambiguous, given that the assignment of debts underlies so many contentious transactions. Not all slumps are the same, and the present crisis has distinctive features of particular interest to conflicts lawyers. Most obviously, this is the first downturn to affect truly global markets. The last two decades have seen an increase in cross-border transactions, encouraged by the globalization of finance, enhanced communications, and the growth of emerging markets for trade and investment. The present crisis also follows a period of unprecedented economic expansion. The downturn was preceded by an economic boom, fuelled by plentiful credit, in which the volume of global business increased – and with it the risk of cross-border litigation even in the best of times. The dearth of credit has also prompted numerous business failures, leading to an increase in insolvency and associated disputes – often disputes with a foreign element, involving the collapse of multi-national businesses, and those with foreign creditors. At its simplest liquidators are likely to pursue unpaid debts and recover losses incurred by failed transactions. But they are equally likely to attack any disposals of the company’s assets. This might involve denying the effectiveness of any assignments of a business’s receivables or loan book, perhaps by challenging the proprietary effect of such disposals. Or it may involve recharacterising a transaction, by alleging perhaps that it creates a security interest, and so fails for want of form or registration. ((Fentiman, International Commercial Litigation (Oxford: OUP, 2010), [3.177] – [3.181].)) Both attacks beg choice of law questions. What law governs the effectiveness of the assignment of a debt, and the characterisation of a transaction? The present downturn also follows a period in which normal business prudence was to some extent ignored. Anecdotal evidence suggests that a combination of market pressure and easy profits meant that transactions were completed in haste, or with a degree of complacency about the legal implications. Of particular interest to conflicts lawyers, there is evidence of unthinking reliance on standardised documentation, of surprising inattention to the language of jurisdiction agreements, and a tendency to ignore qualified legal opinions as to the effectiveness of transactions. 5. To sue or not to sue? Given the severity of the downturn, and the scale of the losses incurred, a substantial increase in commercial litigation was widely anticipated. ((‘Credit crisis could lead to surge in litigation’, Timesonline, 10 August 2007.)) True, the number of claims has risen in London. But the expected deluge of litigation has not – or has not yet – materialised. As the judge responsible for the London Commercial Court has said, ‘no one has encountered what I call a tidal wave of litigation’. ((Gross J, Judge in Charge of the Commercial Court, quoted in the Financial Times, 8 April 2010.)) Why is this so? Nor are contractual claims for breach as likely as might be supposed. Commercial contracts are not meant to be litigated, but to regulate matters of performance and discharge autonomously. Potential claimants may be stopped short by robust exemption or force majeure clauses. Or their rights may be put beyond doubt by events of default clauses and warranties, or reinforced by indemnities, making any defence unsustainable. Such drafting obstacles may not always prevent litigation, given the creativity of lawyers, and what may be at stake. But they make it harder, more costly, and more risky, so deterring claimants and persuading defendants to capitulate. There are also special incentives to resolve disputes arising from the downturn commercially, by negotiation. Where this cannot be achieved there may be incentives to resolve the dispute without the full panoply of litigation, by arbitration (perhaps post-dispute arbitration) or other alternative means. One reason is that one or both parties may be financial institutions reluctant to see their differences aired in public in court. The sensitivity of the commercial information involved, and the likelihood of media attention, may incline such litigants to resolve their differences by negotiation. Especially in the financial markets, the inter-connectedness of business provides two further reasons for preferring the amicable settlement of disputes. The need to preserve commercial relations for the sake of future business may incline the parties towards compromise, without the hostility engendered by litigation. The inter-relatedness of the markets also suggests that the roles of the same two parties may be reversed in different disputes, the potential claimant in one being the potential defendant in another. Where cases involve claims and counter-claims between financial institutions there is a natural tendency to seek an accounting solution by means of a negotiated set-off. A negotiated solution is especially attractive because of the degree to which litigation in the present climate may itself impair the parties’ commercial effectiveness. A feature of the downturn is the pervasiveness of its effects. The scale of the crisis, and the number of transactions affected, makes its impact systemic, or at least ubiquitous. This has particular consequences. A party faced with default by numerous counterparties is more likely to resolve its problems by negotiation. It is one thing to pursue a single claim, quite another to embark on multiple actions involving different parties, which may come to dominate a company’s business. The widespread nature of the crisis also means that the claimant in one dispute may be the defendant in another. Many potential claimants may themselves have defaulted in other transactions. To pursue and defend both actions would be to fight on two fronts. The cost and complexity of such litigation, consuming a company’s business, is deeply unattractive. Companies may be willing to litigate one or even several matters where this represents a sound investment, and the benefit outweighs the cost, but not to amend their business plan by devoting their resources largely to pursuing and defending claims. This is not to ignore the recent increase in proceedings in London. But the rise in claims is compatible with suggesting that most will be resolved by negotiation. Whatever the incentives to achieve a commercial solution a claimant may initiate proceedings to preserve its position. To commence proceedings was once regarded as a hostile act, as a last resort as likely to impair compromise as encourage it. But, at least in Europe, Articles 27 and 28 of the Brussels Regulation compel the parties to initiate proceedings early – indeed, prematurely – by giving priority in parallel proceedings to the court first seised. Many of the claims recently initiated in the London Commercial Court (as in other Member States) may have just this pre-emptive purpose. Whether the presence of such holding claims will impair the chances of reaching a commercial solution in particular cases remains to be seen. But to sue is not at odds with a desire for compromise. To say that fewer disputes have gone to law than many expected requires, however, three important qualifications. First, pre-dispute legal business is booming. It is apparent that many commercial parties have sought legal advice to establish their rights and liabilities in the wake of the downturn. Secondly, many companies, both sellers and investors, have set aside funds to cover the costs of potential litigation. In that sense, the legal impact of the downturn is already significant. Thirdly, what will happen next is unclear. There will be cases in which any hope of a commercial solution will evaporate as positions harden. There will be others in which such a solution is impossible because the legal position is uncertain. There may even be some where the parties’ differences turn on questions of private international law. Such cases may yet become contested actions before courts or arbitrators. As this suggests, it is too early to tell what the true consequences of the downturn will be, for cross-border litigation, and for the conflict of laws. But there is growing awareness amongst practitioners that a new phase is about to begin, as it becomes clearer which disputes can be resolved amicably and which cannot – a phase of adjudication not compromise. In that sense, the story of the downturn’s impact on cross-border disputes cannot yet be written. It is important to ask whether cross-border disputes will increase with the downturn. Any rise in litigation or arbitration matters to the parties, and to the arbitrators, courts and lawyers whose business is adjudication. It has a public policy dimension, concerning the use of judicial resources. It also has economic effects. The cost of litigation and the ability of parties to recover their commercial losses are financial consequences of the downturn as much as those more commonly reported. The legal impact of any rise in cross-border cases may also be significant, not least for private international law. Litigation creates law. The more issues there are before the courts, the more the law evolves at the hands of the judges. It is perverse to wish for more cases. But when they arise old questions are answered, and new ones posed. In the end, however, the importance of the downturn for private international law does not depend entirely on the volume of cross-border disputes. It does not turn alone on the work load of courts and arbitrators, or any increase in contentious conflicts questions, or even on whether the parties disagree at all. Which court has jurisdiction, which law governs, whether a judgment is enforceable, whether an injunction is available, are matters which may frame the parties’ negotiations, or underpin the advice of lawyers to their clients. The rules of private international law have a special importance in cross-border relations in establishing both the procedural position of the parties and their rights and obligations – matters of importance whether or not they are contested, and whether or not they go to court or arbitration. One way or another, private international law has a role in managing the effects of the downturn. One way or another, that role may be central. I am grateful to Sarah Garvey of Allen & Overy, who kindly shared her views on these issues, but is absolved from responsibility for the opinions here expressed. The following remarks are concerned only with private litigation, not with proceedings initiated by regulators.